On July 27, 1919 Eugene Williams, an African American teenager, was stoned to death by white men when his raft crossed the line to the whites only beach. It set off what is known as the Chicago race riots. This new book by Bibi Belford leads us up to that fateful day with the story of two boys and their friendship. After reading this engrossing tale it made me sad to think of what little progress we’ve made in 98 years. All you have to do is listen or read the breaking news reports from 2017 on racial tension. There’s no easy way to solve the problem but a start might be to require every fifth grader to read this book. It’s that powerful. Billy and his new friend Foster can only be friends in hiding for fear of what might happen to themselves or their family. The tidbits on life in 1919 surround the story and put you into that world. Billy narrates in first person perfection. It’s surprising and heartfelt. I’m racing out right now to give my copy to a neighborhood school. Billy’s family has fallen on hard times, what with his da hospitalized after the Great War and his ma barely scraping by. But it’s no hardship for him when there’s not enough money to pay the tuition for Nativity of Our Lord, the private Catholic school everyone in his neighborhood attends. Billy’s not big on education. Billy is pretty sure skin color doesn’t matter. Not when he and Foster are just horsing around, playing baseball, working on the docks of the canal, and building a raft at their secret hideout near Bridgeport’s Bubbly Creek. But in the Red Summer of 1919, it does matter. Historical Fiction can be a tough sell to kids. When done right like this one it won’t be so difficult to convince them to read. Tension builds throughout to the surprising end. I stayed up late to finish then couldn’t get to sleep thinking about it. Billy is an Irish kid with a big heart and a lot of confusion in his head. He’s the kind of character you’d like to see what the next chapter in his life brings. I didn’t know much about this time period and have done some additional reading since finishing CROSSING THE LINE. Ms. Belford got everything right and hit the high note on each page. This would make a rich source for discussion or as a starting point in a unit on racism. If I was Foster I would be mad, too. I feel embarrassed. Guilty. I wish were all born one color. A dark color that don’t sunburn. Being friends with Foster makes me sit up and take notice, like a dog that hears a noise. I’m ashamed I didn’t notice before that. I’m ashamed it’s come to this, when every day in school we stand up and pledge liberty and justice for all. While “Crossing the Line” deals with a heavy topic for middle-grade readers, it attempts to do so while keeping certain sensitivities in mind, said Rachel Stark, the book’s editor at Sky Pony, an imprint of Skyhorse. Exposing young people to these tools is part of a healing educational process, Belford said. 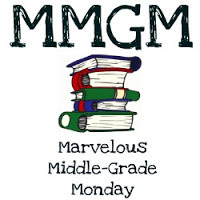 This entry was posted in New Release, Reviews and tagged Bibi Belford, Chicago Race Riots, Crossing the Line, Marvelous Middle Grade Monday, Middle Grade Historical Fiction. Bookmark the permalink. What a powerful sounding book. I’ll be putting this one on top of my December must read list. Thanks for featuring. This is a book I know I’d enjoy reading since I know so little about the period in history! I really enjoyed the Chicago Tribune interview because it gives ways to use the book with kids. I agree that books like CROSSING THE LINE are necessary if we are going to start the healing process. Must read! Wow, this book sounds intense. I’m glad I’ve read your review. It sounds much like the wake-up call some people need and it doesn’t gloss over anything. The characters sound amazing! Especially Billy. Thanks for the review! I have to read this book soon. I will move it to the top of my TBR list. Thanks for this wonderful review.